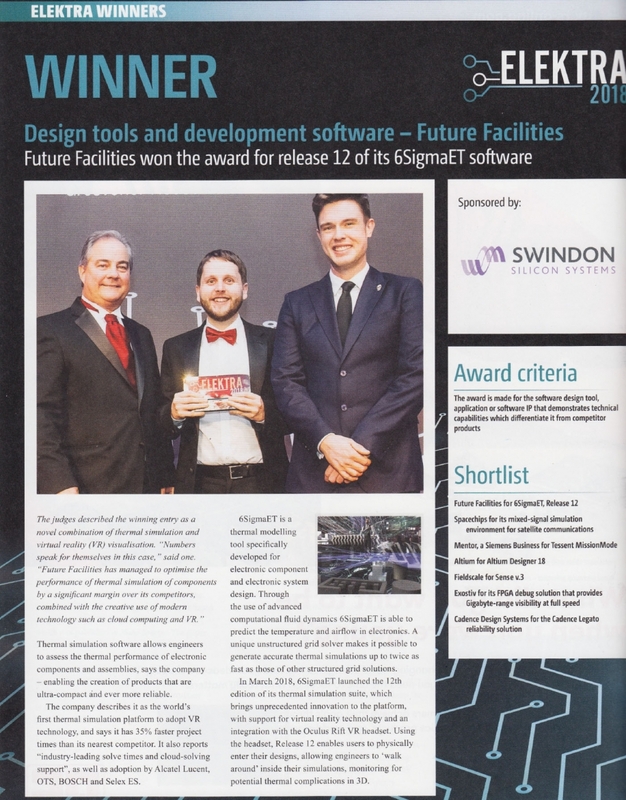 London, UK – 6th December, 2018 – 6SigmaET, a thermal simulation CFD tool designed by Future Facilities, was last night announced as the winner of the Design Tools and Development Software Award at the Elektra Awards 2018. Using VR, Release 12 enables engineers to physically enter their designs, allowing them to ‘walk around’ inside their simulations and spot potential thermal complications in 3D. This addition shows a glimpse into the future of electronics design, helping to provide engineers with a whole new perspective on thermal management.